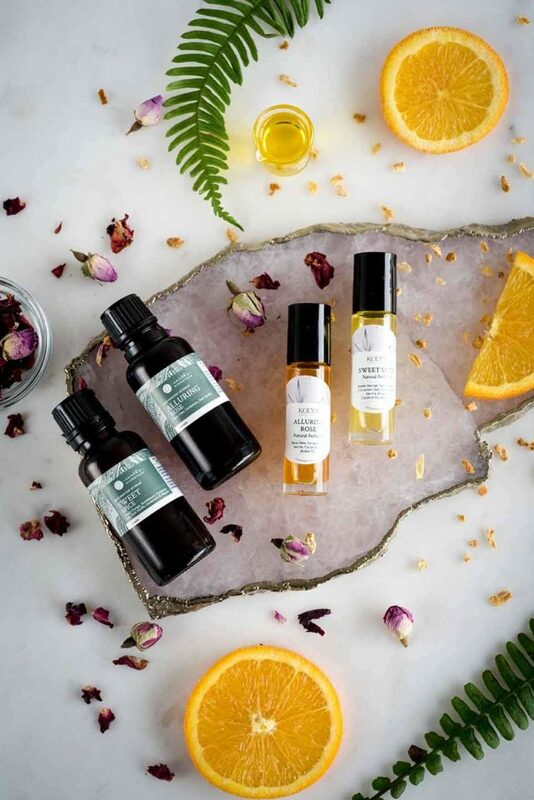 These DIY Natural Perfumes (Sweet Spice or Alluring Rose) are incredible aromatic blends that can be used to entice and delight a sensual experience this month for Valentine’s or as a charming natural perfume. They also blend beautifully together if you cannot decide on just one! Make your own DIY Natural Perfume at our 109 St. Blending Bar for $9.95 until the end of February. Get Directions! Using a funnel in a glass roller bottle measure 20 drops Alluring Rose or Sweet Spice essential oil blend. Add 1 tsp coconut oil and 1 tsp jojoba oil. Place the roller top then outer cap and gently shake until evenly mixed. Gently roll on and enjoy as a natural perfume on inner wrists or around the neck and collar bone area.